Shop the Black Friday Clothing Sale in One Easy Place! Leopard Print Clothing Zebra Print Fashion - Animal Print for Summer 2019 Star Studded Fashion: Sequin Galore! If there is one thing that we love as much as dressing ourselves, it is dressing our tech. In this category you can find a huge range of phone and tablet cases and covers for a wide range of makes and models. 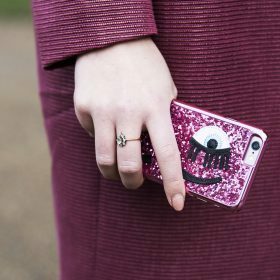 From sleek monotone cases to crazy shapes and designs, we have something for everyone here at Fashiola. Browse the entire category and see what catches your eye or use our filters to find your perfect new phone or tablet case.